Why rent a private location for your wedding? 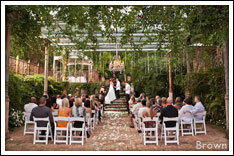 The following are some excellent estates to rent for your wedding ceremony and/or reception. Located in the heart of Hana Town, Travaasa Resort offers the historic Plantation Guest House in a private area surrounded by well-maintained lawns and mature tropical trees. We love weddings at this location because it's as private as you can get while still close enough to walk to the shops/restaurants of Hana Town. Having a wedding in Hana is a great idea because you force your guests to relax in one of the most beautiful settings in the world. You're a short walk or drive from breath-taking beaches, beautiful waterfalls and lush bamboo forests. 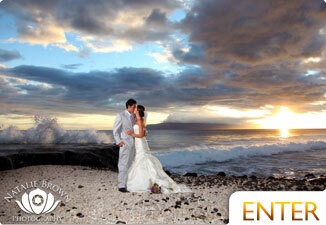 Call (808) 359-2401 or visit their site to learn about even more Hana wedding locations. Brimming with botanicals and surrounded by acres of farmland, Maui Tropical Plantation is a dream destination in its own right—rendering it the perfect spot to tie the knot in beauty and sophistication. 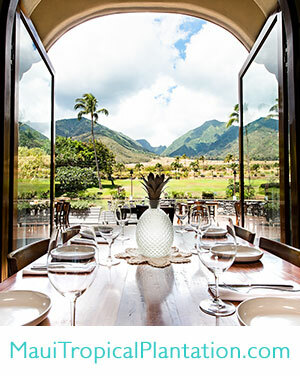 Established over thirty years ago to showcase the island’s tropical bounties—from apple bananas to stalks of blue ginger—and featuring stunning views of the West Maui Mountains, Maui Tropical Plantation has long been a leading choice for brides and grooms intent on having a unique—and fragrant—wedding. With on-site catering provided by The Mill House—a top-notch restaurant that was recently named one of Maui’s best restaurants by Honolulu magazine—ample quiet, and custom packages designed by MTP’s preferred coordinator, White Orchid Wedding, this special venue has it all (and then some). Call 808-270-0314 for more information or fill out an inquiry. 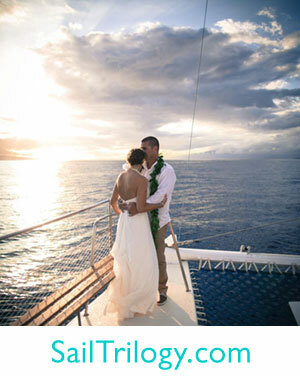 For a unique experience on Maui, consider having your wedding aboard one of Trilogy's five custom sailing catamarans, which accommodate anywhere from 36 to 65 passengers. With departure locations in Ma‘alaea Harbor, Lahaina Harbor or Ka’anapali Beach, Trilogy and their team of experienced personal wedding coordinators take care of all the details on your big day, including full bar, live music, photography, videography, officiant services, custom decor and decadent cuisine. For a more exclusive option, sail to the neighbor island of Lana'i for an on or off-shore private ceremony and post wedding celebration at the Hale O Manele Pavilion. Make your Maui wedding a memorable and unique occasion by enjoying sweeping views of Maui's coast and neighbor islands while you sit back and enjoy the party. 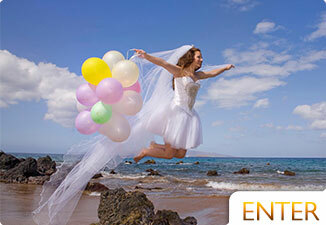 Call (808) 874-5649 or visit their site to find out more about Weddings over the Ocean. keep in mind that there are more than one Sugarman Estate. Sugarman was the guy who invented Blue Blockers in the 80's. He also pretty much began the infomercial craze. Thus, he's got a lot of money and a lot of property. The estate that we're referring to is in Makena, next to Ahihi Cove, which is one of the best snorkeling spots on the island. This is a manicured estate with huge lawns right on the ocean. It is perfect for bocce ball. There is no beach in front, only lava rock. Going South on the island, it's the last house on the ocean to your right, just before the lava fields and the surf spot “Dumps”. There's a 5-bedroom house on the North side of the property with a jacuzzi and barbecue area. The house is nice but needs to be updated, and has a large lanai that faces the ocean. The lawn isn’t golf course perfect and it has some soil spots interspersed, but it does the trick anyway. The oceanfront lawn has a gazebo and the most perfect point for a ceremony. This property can hold around 500 guests for a great party in a beautiful place. The Olowalu Plantation is a beautiful spot on the way up to Lahaina. It has huge sprawling lawns, big beautiful trees and a great house to get ready in. It is on a 3 acre lot with a romantic, old Hawaii style to it. There is not an option to stay there, but the bride can get ready there. There are bathrooms built for wedding guests, which is really nice because you don’t have to rent porta-potties! You might have to rent them for over a certain amount of guests though. The lawns are right on the water but does not have a sandy beach. The beach there is rocky, but you can still get some great photos right next to the water. There is a pier that the couple can take nice photos on also. There is a concrete slab for a dance floor under the huge beautiful trees. 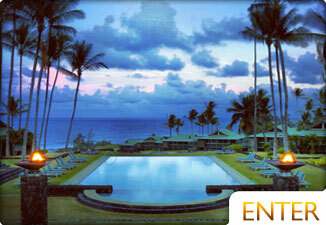 The Olowalu Plantation accommodates up to 500 guests. 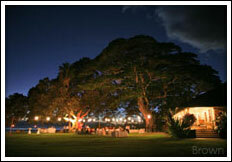 The Haiku Mill is a beautiful place to get married in Maui also. 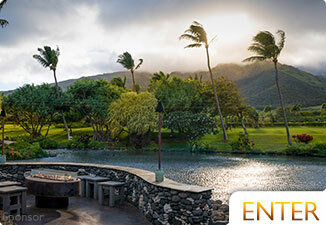 It is at the Pua Le’a Ruins and has amazing botanical gardens on the property. This Hawaiian historical landmark is one of Maui's first sugar mills built in 1853. 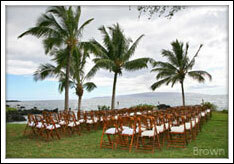 It has a romantic ambiance and is very different than any other Maui wedding location. It does not have the traditional ocean beach view, but makes up for it will the amazing tropical feel. The restored ruins provide the perfect stage for beautiful gatherings and weddings. The Haiku Mill's brick flooring, chic chandelier, walls of moss, and unique fountains adorn the amazing wedding site. This wedding location is enclosed, yet open to the sky. There is a cottage that’s available for a changing room. It accommodates up to 100 guests.